In 1996, we decided to enrich our four-headed family with a dog. 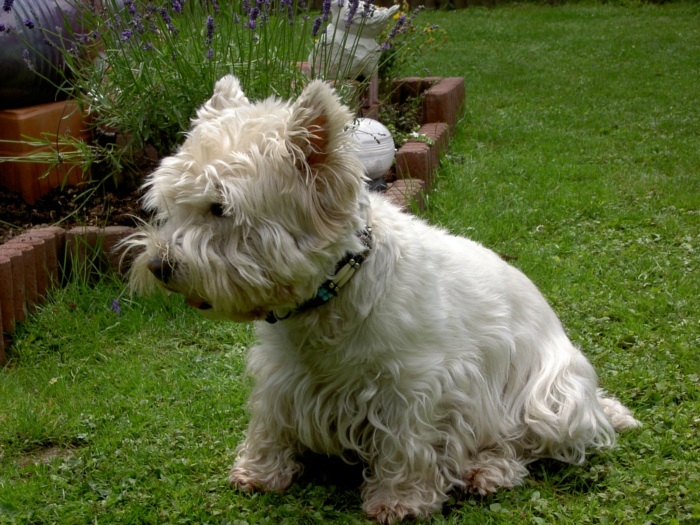 We choosed the West Highland White Terrier briefly called "Westie". 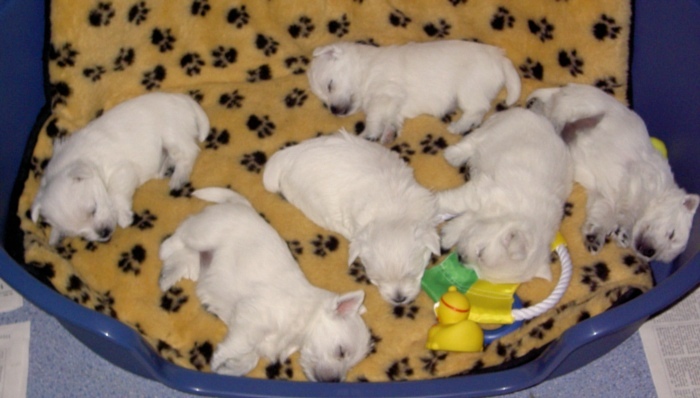 So we searched for a breeder and bought our first female westie. 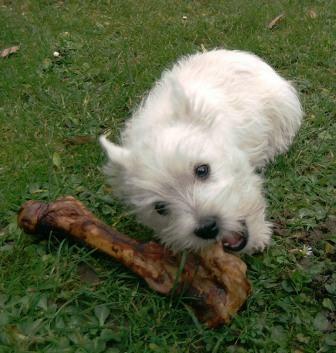 Bonny came at the age of 8 weeks to us. Her dear and friendly nature charmed all family members. very docile and sometimes a little stubborn. 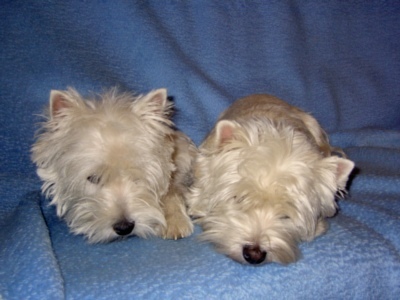 to breed the West Highland White Terrier, to the best knowledge and conscience. So we began leraned a breeder should know. Cherrylin from the kennel Schloss Schwülper (champion breeding) in 2003. 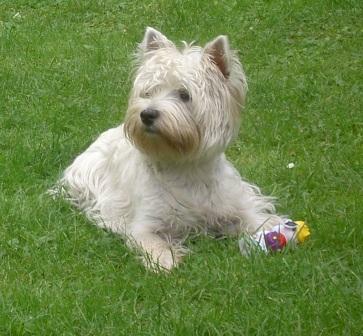 In 2005, we applied for our kennel name protection and for permission in the terrier club. 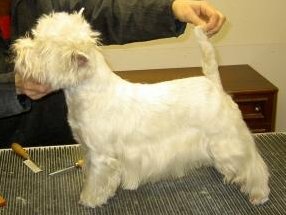 Mrs E. Peper, chairwoman of the Judge and Westie breeder herself examined our knowledge for the breeding permit, she accompolished the kennen-inspection and gave us provisional breeding permissions on the 15th August 2005. After all our dream got real. 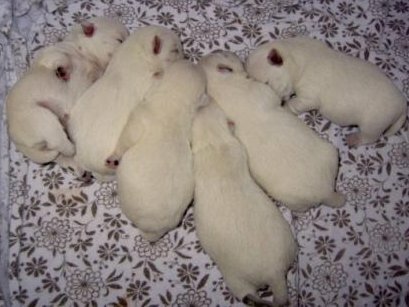 Our first litter was in December 2005. They were 6 healthy and lively puppies, one male and five females. The unlimited breeding permission we received by Mrs. Dost, National Group Chairman Westphalia in the club for terriers, on Jan 29th, 2006. With us the dog is not seen as a thing. They alllive together with us in the household. Our garden is open at any time to play, too, romping and exploring nature are available. 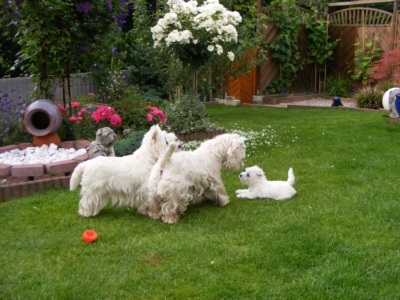 We give informations about our dogs, breed or our breeding disposal to everyone who is interested in one of ohre puppies. Sometimes we present our dogs to dog shows.